According to the most popular account of the a priori, which we might call Analytic Account of the A Priori, we can explain the a priori in terms of the notion of analyticity. According to the least popular account of the a priori, the explanation of the a priori proceeds by appealing to the faculties used in the acquisition of a priori knowledge (or justification), such as the faculty of rational intuition – call this Rationalist Account of the A Priori. 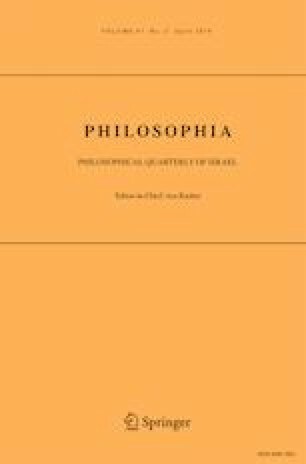 The main aim of this paper is to challenge the analytic account of the a priori to motivate a return to rationalism. To achieve this aim, I discuss and challenge two very different analytic accounts of the a priori: a concept-based account that relies on meaning-justification links, and an understanding-based account that does not rely on such links. I argue that the former is both extensionally inadequate and explanatorily deficient, and the latter can be made to work but only by employing such a rich notion of understanding that renders it a form of rationalism in disguise. I conclude by motivating a rationalist faculty-based account of the a priori. I presented this material at the LEME seminar (PPGLM) at the Federal University of Rio de Janeiro. I thank the attendees for the feedback. I particularly remember helpful comments from Roberto Horácio, Guido Imaguire, Felipe Carijó, Dirk Greimann, Luisa Luze, Gustavo Lyra, and Rhamon de Oliveira (apologies if I’m forgetting anyone). I’m also grateful to the anonymous referee of this journal for the kind comments. Thanks specially to David Yates for comments on an early draft of this paper.